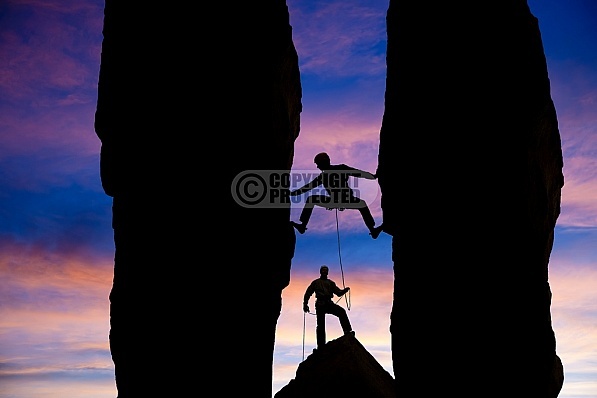 Description: Bridging between two rock pillars. Grit and determination. Live your dreams. Strive for excellence. Confidence building. How to rock climb. No guts no glory. Challenge yourself. Reach for the top. On the edge. Hold on tight. Don't let go. Rock climbing gyms. Watch your step. Rock climbing clothing. Stock photos. Mountain climber. On the rocks. Thrill seeker. Mission accomplished. Holding on by fingertips. Adventure quest.